would not have stepped on that ship. Shortly after we returned from our trip we watched an episode of Oprah with our jaws on the floor about the amount of plastic and other trash that is STILL allowed to be dumped into our oceans by cruise ships. Not to mention other sources of trash not mentioned.Their is a huge 90 foot deep miles wide swirling vortex of plastic, bags containers, six pack holders you name it just plain trash in the Pacific and Atlantic oceans. Now last time I checked we rely on the oceans plankton to make oxygen for us to breath? What about all the fish and other aquatic life that try’s to consume this trash and dies as a result? Some of us like to eat sea food to right? Please do me a favor and do a web search and enter in your browser “Plastic in the ocean” and inform yourself, and be forewarned it may disgust you. My hope is that maybe one person at a time can make a difference and I am starting with myself. At my auto repair shop “Boulay’s Garage” I will recycle every plastic container that comes into my shop. 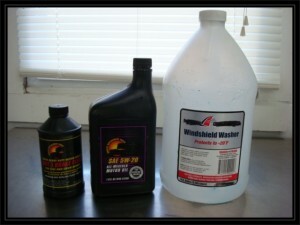 Along with waste oil, anti freeze and all other fluids that may be replaced. Just think for a minute about this one example to follow; There are over 1 billion vehicles in the world, every one likely has a windshield washer tank. It took a 1 gallon plastic jug to fill all of these vehicles for the first time. 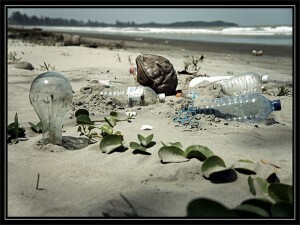 Where did those empty plastic jugs go to a landfill, the ocean, or recycled? Please educate yourself on this subject, and above all please recycle! If you already do recycle thank you. « Always Wear Your Seat Belt, Especially With Air Bags!